How to Estimate Production Capacity of a Garment Factory? Production capacity estimation for a garment factory is an important issue in readymade garments sector. It plays an important role to the buyer for selecting right vendor for their orders. How much a garment factory can produce their items per day has estimated here. As its importance in garments manufacturing sector, today I will present here the production capacity estimation method for a garment factory. Production capacity of a garment factory is totally related with machine (hr) capacity, line efficiency of that factory and standard allowed minute (SAM) of produced item. For achieving accurate production capacity of a garment factory, an industrial engineer should confirm accurate cutting room capacity, finishing room capacity and washing capacity also. Line efficiency of garment factory or factory efficiency. Now, by using the following formula, an industrial engineer can easily calculate production capacity of a garment factory. Suppose, Noman Fashion Ltd. has 10 sewing lines, each sewing line has 20 machines. They have to produce basic knitted polo shirt items at 8hrs working day, (where machine-hr capacity is 1600hrs and line efficiency is 60%). So, find out the production capacity of that factory. So, garments production capacity of the above factory is 2880pcs per day. 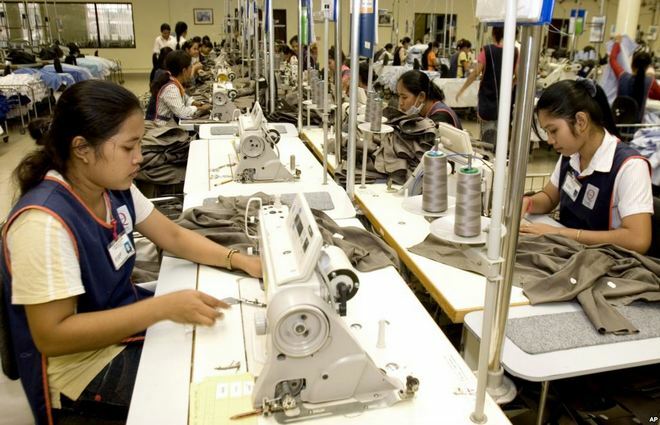 What do you mean by production capacity of a garment factory? How to calculate production capacity of a garment factory? How to calculate production’s capacity of a factory? How to calculate productions capacity of an apparel industry? Explain the productions capacity calculation method for a garment factory.